Andre Boudrias, an NHL player who was one of the earliest captains of the Vancouver Canucks, died 2/6 at age 75. Before his stint with Vancouver, Boudrias spent time with Montreal, Minnesota, Chicago and St. Louis. He was one of the original North Stars. After he left Vancouver, Boudrias played in the WHA for 2 seasons with the Quebec Nordiques. Joe Presko, a RHP who threw for 2 teams in the 1950s, died on 2/5 at age 90. Presko pitched for the Cardinals from 1951-54, and then returned to The Show with brief stints on the mound for the Tigers in 1957-58. Giordano passed away on 2/14. Before his long and successful scouting career, Giordano played in 11 games as a September call-up for the 1953 Philadelphia A's, hitting 2 HR. Crimian, a RHP in the 1950s, died 2/11, just 6 days short of his 93rd birthday. His only full season in The Show was in 1956, when he went 4-8 for the Kansas City Athletics. He had short stints with the Cardinals (1951-52) and the Tigers (1957). In a passage in Smalling's Baseball Address List, Jack Smalling recaps some of his semipro baseball career, and mentions facing Crimian after he retired from MLB. Crimian "dispatched me on strikes with ease", according to the baseball address guru. Don Newcombe, the only player to win all three major player awards (1949 NL ROY, 1956 NL MVP, 1956 MLB CY) died 2/19 at age 92. Newk pitched for the Brooklyn Dodgers from 1949-57, missing 1952-53 to serve in the Korean War. he began the 1958 season with the Los Angeles Dodgers, but was dealt to the Redlegs in 1958, pitching there through the midst of the 1960 season, when he finished up his active MLB career with Cleveland. He was a 4-time All-Star. 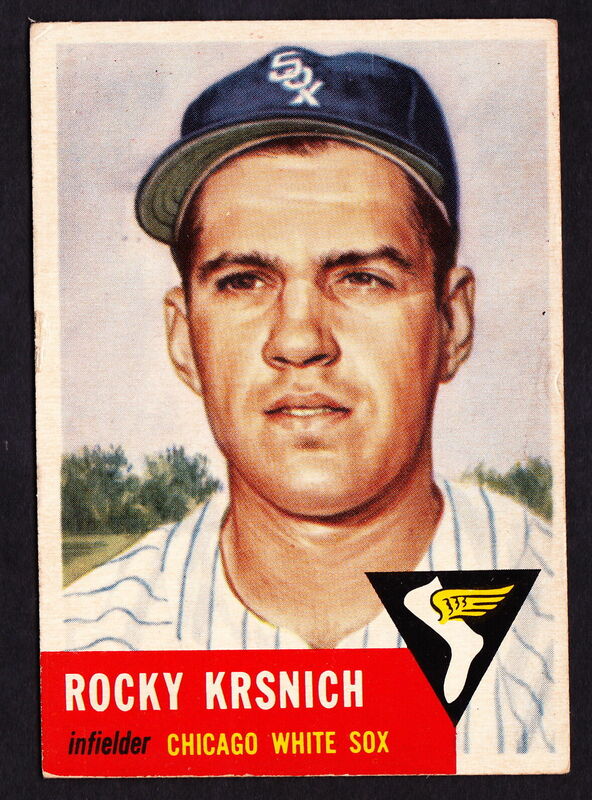 Rocky Krsnich, a backup 3B for the White Sox in 1949, '52 and '53, died on 2/14 at age 91. Jerry Casale, a RHP who threw for 3 AL teams between 1958-82, died 2/9 at age 85. Casale came up for 2 games with the Red Sox in 1958 and was active with them through 1960. He was selected by the expansion Los Angeles Angels for 1961, and appeared in 13 games there before finishing the season with three appearances with Detroit, for who he also pitched for the first half of 1962. His best season, by far, was with Boston in 1959. Although possessing a high ERA (4.31), he finished 13-8 with 9 CG and 3 shutouts. Milt Welch, a catcher who appeared in 1 game (6/5/1945) for the Detroit Tigers, died on 2/9 at age 94. Gibbon was a LHP who both started and relieved for 4 different NL ballclubs from 1960-72. His rookie season saw him going 4-2 for the World champion Pirates. In addition to 2 different stints with the Bucs, he also threw for the Giants, Reds and, briefly, the Astros. Ted Lindsay, a HOF defenseman who won 4 Stanley Cups with the Red Wings died 3/4 while in hospice care. He was 93. Lindsay is considered among the greatest Red Wings stars of all time. He also spent 3 seasons with the Chicago Blackhawks.